Apologies for not writing a Blog for a while; I've recently passed the year milestone since picking up my old knee injury and problems with it still persist. Not quite to the same severity but it is still ever evident when I start running no matter what exercises/stretches I seem to do or even after a few weeks break! I think my next step will be when my current shoes give up the ghost, is to pop along to our local triathlon specialists and treat myself to a Gait Analysis session and then spend the extra to get the best shoes for my gait to see whether that improves things. My Facebook profile picture was getting on a bit so I took the opportunity to take a running selfie at the end of my run today. It was my first run in 2014 and 3 weeks as I had a cold that I had to shift and due to rest (inactivity) over the Christmas break. The run itself considering this break went surprisingly well; a solid, dependable and reasonably comfortable 5km. The weather was great as well; if I knew it was going to be that warm I wouldn't have bothered with the buff! Anyway, I hope to step up my running this year after an injury riddled 2013 where I only managed about 50% of my normal distance (approx. 750km). 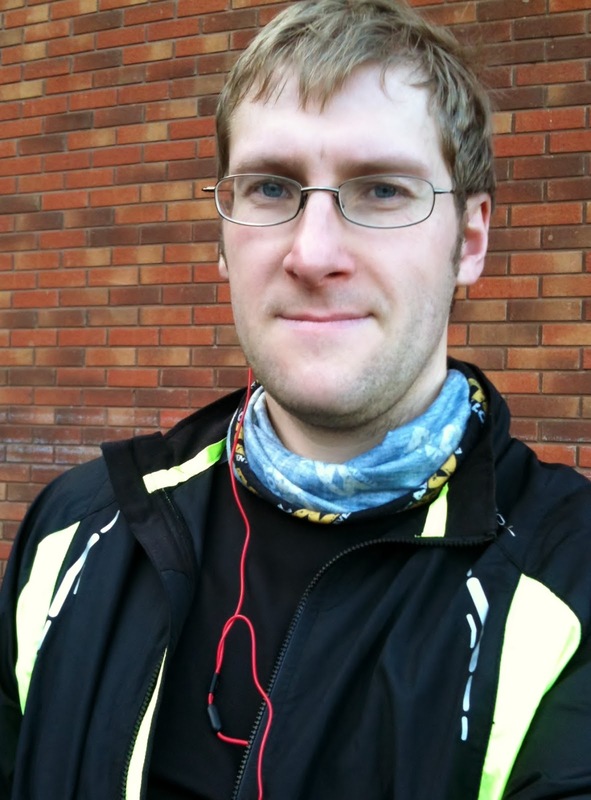 After completing the C25K in August, I went on and completed the Bupa's 10 mile training programme before returning to Yeovil Town Running Club (YTRC) and since then I've just been maintaining that level of fitness. Just before Xmas, I managed to push the distance a little and stretch to a 12 mile run walk run. This run was tough but enjoyable for the most part; as always I began to get bored and sore after the 10 mile mark however it's good to get out and run around the wilderness especially when the sun is shining and its not too hot. Running is a great way I find to just escape and clear/free the mind, especially after a stressful morning at work. Today's run was confined to just in and around Yeovil town but I still managed to venture up a new road and see some surprisingly stunning views towards the country park and further afield, just a short distance from town. I intend to start back at YTRC next week and start taking more photos out and about which hopefully will help me get through the challenging winter months and the pile of Chocolate that is left to eat following Christmas; especially the Hotel Chocolate Rocky Road slab!